The Polish N’ Wax is a triple layered foam pad with orange light cutting foam on one side and soft, gray finishing foam on the other side. The red layer in the middle gives the pad additional height so you can grip it without rubbing your fingers on the paint. The pad is oval for comfortable gripping, and it is larger than the average applicator pad so you cover more area in less time. 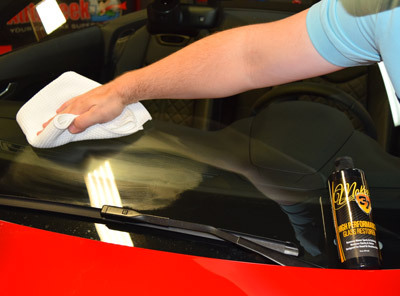 Use the orange side to apply McKee's 37 High Performance Glass Restorer. The orange foam is dense to provide additional polishing power against stubborn water spots and mineral deposits. 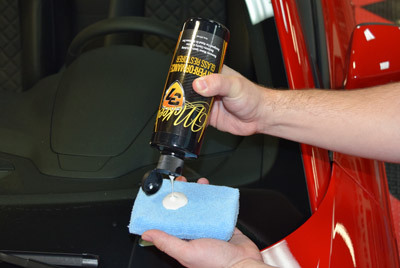 McKee's 37 High Performance Glass Restorer can be applied by hand or with a polisher. To apply by hand, pour a nickel size amount onto the orange side of the Wolfgang German Polish 'N Wax Applicator. A total retail value of $43.96, Save $13.97! McKee's 37 Krystal Vision Glass Cleaner 128 oz. I found these products to work well. 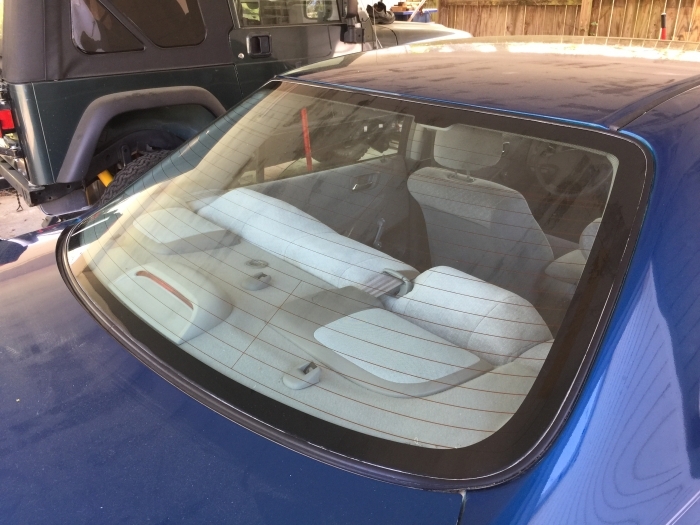 The spray liquid cleaner was excellent for inside the windshield and the glass restorer used in conjunction with the supplied pad removed the "junk" on the outside. I really couldn't believe the after picture when done ,the windows were 100% percent better. Save time, effort, and cash: read up! This is the only complete glass care product you'll need. I've tried glass restore products from Stoner & Duragloss (in that order), and none of them compare to this. All products were applied with a DA polisher and the only one to provide compete results was this product... and the results were truly outstanding! This was needed for a 2018 Jaguar that had issues from the factory. 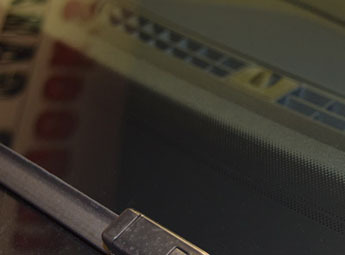 Nothing took care of the glass until this restorer was used. Out of the bottle I didn't expect to get the results I did, but now this will be my go to for glass correction. ProsMy eyes can't believe the results, wow! Easy application and removal with DA polisher. I did a video review on YouTube, after only ten minutes of use. The video is okay, but was taken well prior to being finished. I assure you that 100% of the gunk shown in the video came off. 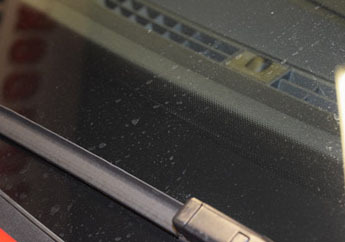 We ended up doing all the glass with the Glass Restorer, including some of the more nasty interior surfaces. 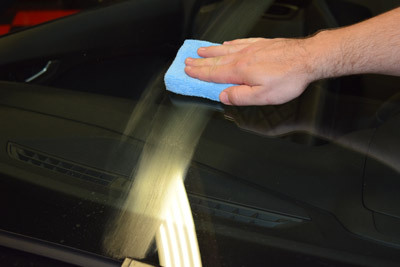 We followed up with the included Glass Cleaner for all the interior surfaces and we could not be more pleased. I do not know whether Autogeek will allow me to include a link to this review, but it will be posted below. The actual review is in the comments, and it goes on a bit. Sorry - just trying to be informative! This package is highly recommended. The applicator sponge and waffle cloths are great, and both bottles of product work as promised. The price here is a good ten bucks lower than at Amazon. This is the product to get, and this site is the place to get it. Cheers! ConsNon that I can see.